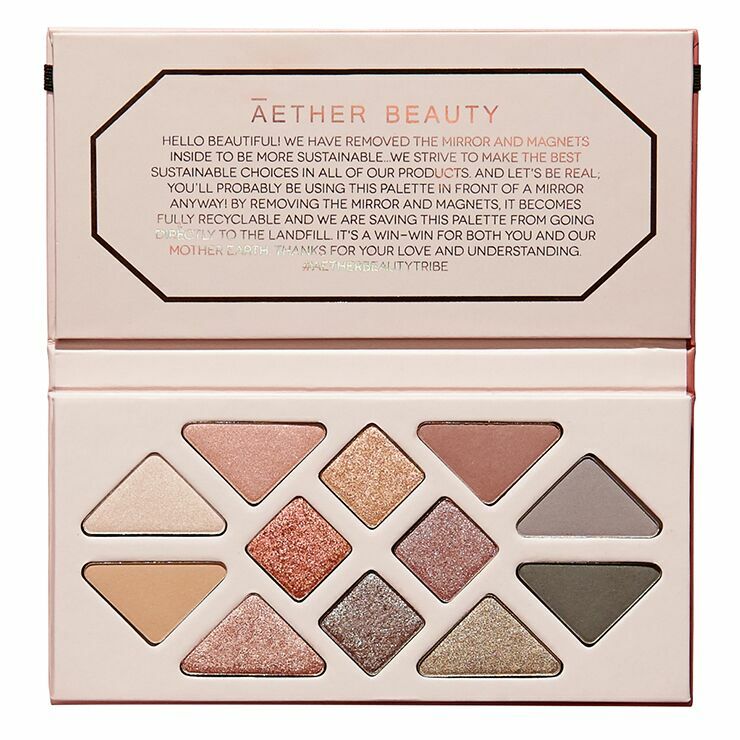 A brilliant array of hues for eyes, Aether Beauty Rose Quartz Crystal Gemstone Palette creates glamourous looks with added beauty benefits. Made with coconut oil and shea butter for a super creamy texture, these powder shadows glide onto skin while looking smooth and natural. Rosehip oil has a brightening effect that creates an even-toned appearance. 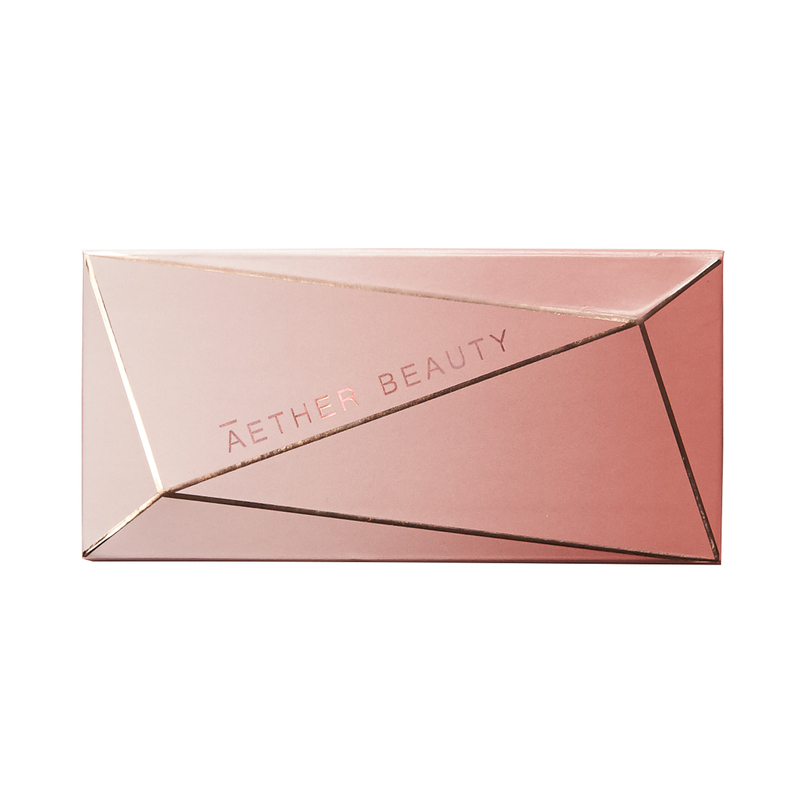 And the addition of rose quartz diminishes the appearance of fine lines and redness, while the light reflective crystals lend a look of other-worldly luminescence. Comes with 12 delightful shades. 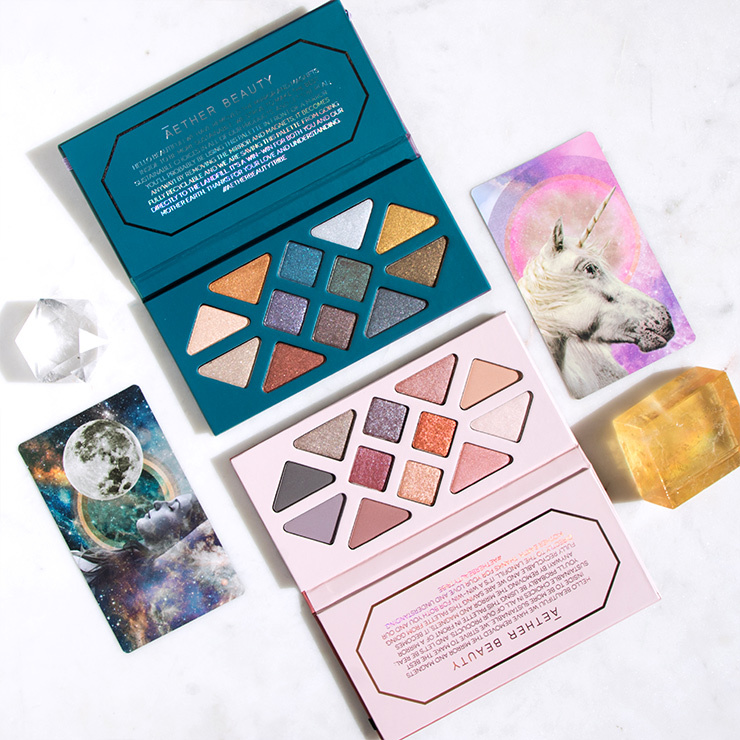 Perfect used alone or together, create individual looks for day and night with this glamorous eyeshadow palette. 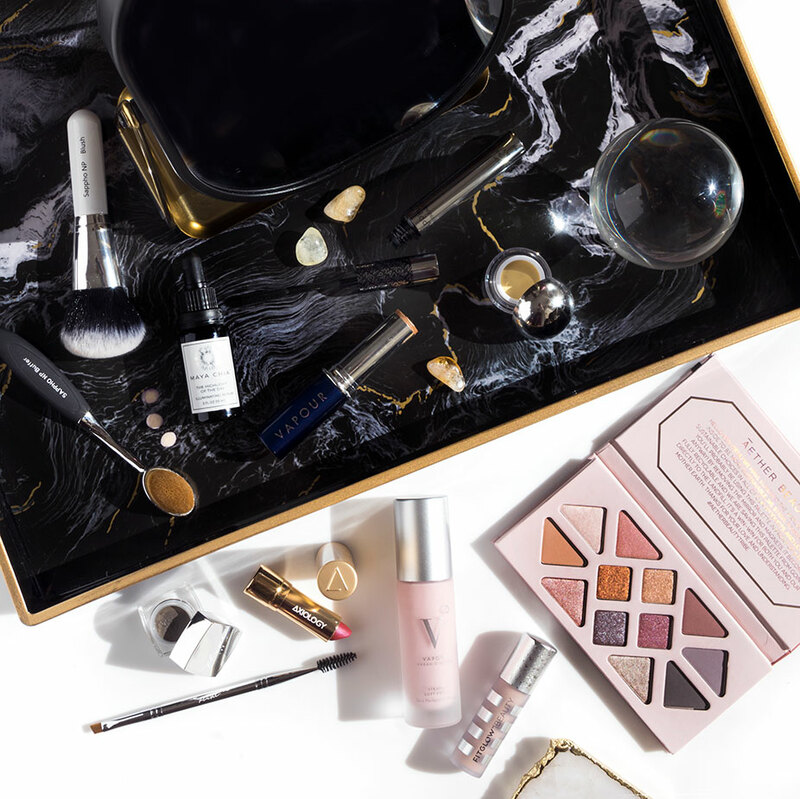 Shades ranges from light and natural to deep and sultry. Mica*, Ethylhexyl Stearate, Calcium Sodium Borosilicate*, Zinc Stearate*, Calcium Aluminum Borosilicate*, Synthetic Fluorphlogopite, Rosa (Rose Hip), Canina Seed Oil**, Silica*, Cocos Nucifera (Coconut) Oil***, Butyrospermum Parkii (Shea) Butter*** Tin Oxide, (Rose) Quartz*, Alumina* May Contain: Bronze Powder*, Titanium Dioxide, Manganese Violet, Iron Oxides, Ultramarines*, Bismuth Oxychloride.